SEO, or Search Engine Optimisation, refers to the things you can do – and should do – in order to improve traffic to your website. Your website is a powerful marketing tool, but it can’t do its job without some help from you. Whether you do the work yourself or decide to get some expert assistance, you’re going to need to get to grips with the SEO basics if you want to get the best from your online presence. It’s never too early to start. If you’re planning a re-design, or are about to launch a new site, it’s a great time to be thinking about SEO, although an existing site can also benefit enormously (so it’s never too late). You should be trying to give an accurate description of your products or services. Think about your product, but think just as much about the visitors you hope to attract to your site. Who wants what you provide, and how would they look for whatever that is? Anticipate the words these visitors would type into the search bar to find you. Remember that they may not know the jargon of your business, so keep it simple. Your content includes your images, which should be relevant to your subject matter. Descriptions of your images are called “alt tags” – these tell the search engines more about your page. Make sure the names of your photos and the alt tags are relevant and informative. It’s also good if your page names and page URLs are in plain English. You should use high-quality Meta descriptions and keywords in your sitewide settings. When I do website reviews, this is the first thing I look at and I am amazed by the number of sites which completely lack this basic, essential information. The Meta description is the text which displays when a site is returned in a search and will also contain your keywords. Do you know what keywords and Meta description are on your existing site? Open your homepage in your web browser, right-click the page and select View Source (IE) or View Page Source (Chrome and Firefox). Then use the Find function and enter “description” and “keywords.” What do you see? Ideally, you’ll find good, natural and relevant use of your keywords to describe the site and what you offer. Now, clear your browser cache and conduct the sort of search you’re hoping your customers are using to find you. (You need to do this because your browser is intuitive and knows that your own site is one of your favourites, so it will give you a false positive on your ranking.) On the first page of search results, select the website of the first unpaid listing take a look at the page source for that page. What keywords and Meta description appear? Perhaps you can learn something here that could help your own results? 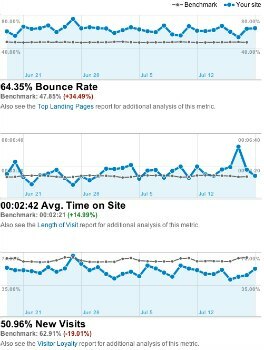 Google and other search engines look at your bounce rate. It’s one of the measurements they use to determine whether your keywords are authentically aligned with your product. If your bounce rate is high, it has a negative impact on your page ranking. That means it can take you further down search results…not what you’re looking for at all! The way to see your bounce rate is to sign up – or have your developer sign you up – for Google Analytics and track how that alters as you make changes or modifications to your website. Responsive Web Design, or RWD, refers to a fluid site layout that automatically resizes to fit any device. Search engines “know” the device on which a search is being conducted, and will return search results which prioritise those sites which will display best on a given device. Figures vary, but it’s a safe bet that as many as half of your potential site visitors may be searching for products and services on a mobile device, even when they are at home. If your site is not responsive, it will not display correctly (if it shows up in a web search in the first place). If you choose to buy SEO services, listen carefully to what your potential provider is saying…and listen especially carefully to what they’re asking you. You should be hearing a lot of questions about your product and who you perceive your target audience to be. An SEO provider cannot be effective in other than short-term and possibly injurious ways without involving you fully. 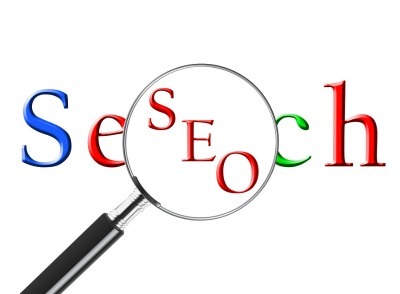 Want to know more about SEO? Ring me for a chat, or send me an email! Wondering if WordPress is good for SEO? It is, and so much more! Wow – there really are a lot of things to be thinking about with SEO. This is very good, clear advice and transforms what can be a “mysterious” world of technical jargon! Thank you. This is very helpful, thank you! The whole SEO chapter is so vast and complex, it can be quite daunting and these tips all seem quite straight forward. Google feels like the new Big Brother watching us from every angle of our life, and being strategic with your SEO so it corresponds to the way it´s interpreting it is obviously key ! Thanks for your feedback, Mi. It really is a bit of a minefield, but it’s important to remember that what the search engines are trying to do is to deliver a positive, relevant user experience. Which is positive (and relevant)! Google & Co get better all the time at outing the cheaters, which is great for those of us who try to keep it real. So long as you create content which is relevant to your product or service, and use language which is likely to be used by your target audience in their search for you, you’ll be on the right track.